The students of Pearl Academy showcased their collections on the last day of The Lotus Make-up India Fashion Week. 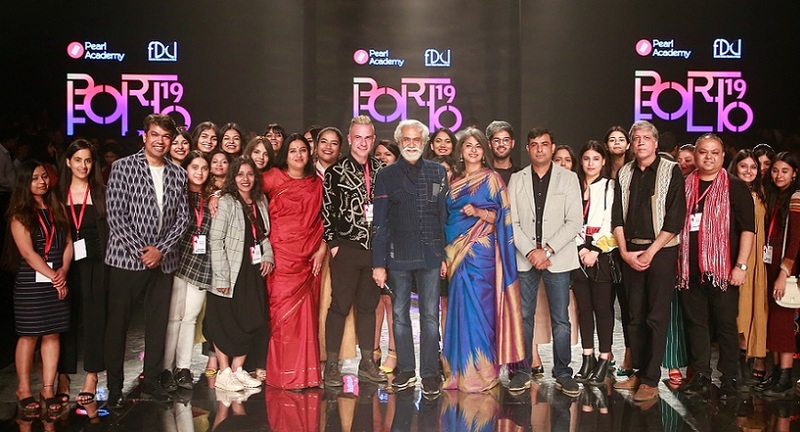 Over 500 student of under graduate and post graduate programs of fashion design, fashion styling & image design, fashion media makeup, textile design, jewellery design and celebrity and bridal hair and makeup, charmed the audience throughout the day. 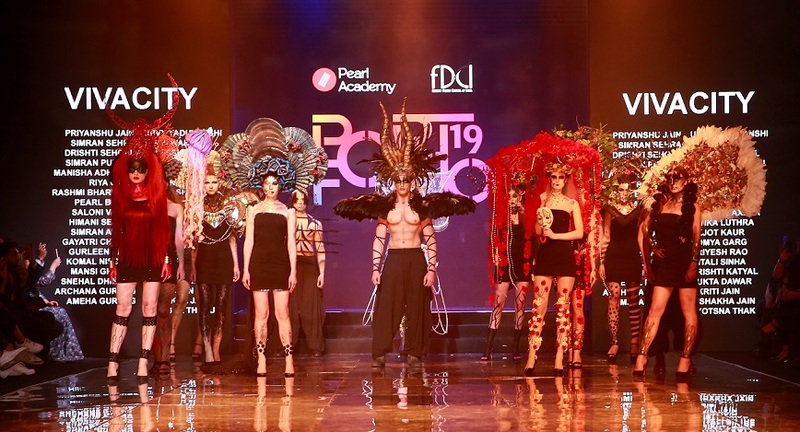 ‘Pearl Portfolio’, is the signature event of Pearl Academy for more than 25 years and has been an annual launch pad showcasing the work of graduating students. The collection stood out for its innovative approach and fashionable materials to create sartorial, chic and timeless apparel. From apparel that infuses LED technology, with fluid fabrics to create retractable clothing that will help prevent assault, to clothing inspired by India’s traffic woes and beauty in cacophony to more effervescent fabrics and modern rethinking of block printing, each collection on the ramp showcased the storehouse of talent that is ingrained in each and every one of the presenting student designers. As part of collaboration with FDCI (Fashion Design Council of India) , a pop up store with limited edition collection inspired by Pearl Academy's ideation partner Manish Arora was also conceptualised by students. The sustainable, ecofriendly fabric was sponsored by Liva. 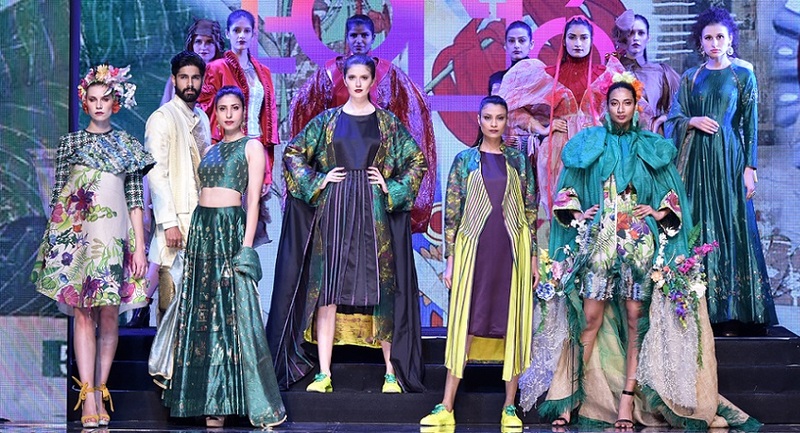 In the recent times, students have also showcased their work at other prominent fashion weeks in India as well as abroad including Amazon Fashion week, New York Fashion week and London Graduate Fashion Week. The students of School of Fashion have also had the opportunity to intern with Rahul Mishra and Manish Arora at Paris Fashion Week in the past.